Spend an hour walking in the beautiful surrounding countryside with our wonderful Harris Hawk flying to and from your fist. Hawk Walks are available at 10am daily. The experience is available from the end of July as we cannot do the Walks until after the breeding season has finished for the Curlews.. Gift Vouchers are available. Please contact us on info@boltoncastle.co.uk or 01969 623981 for more information. Please call the Castle on 01969 623981 to book an appropriate date for your experience. Your voucher does include admission to the Castle. 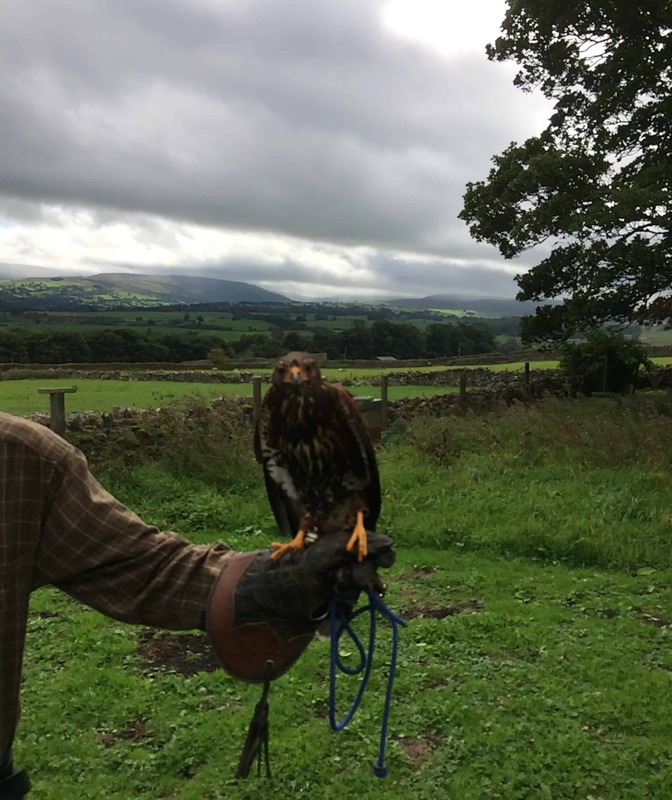 Please arrive at the Castle Gift Shop ten minutes before your experience is due to start to meet our falconer and fill in the necessary Health and Safety forms. Please dress for the weather with sensible footwear as the experience involves a lot of outdoor activity. If you wish to change the date or time of your experience after booking please let us know as far in advance as possible and we will reschedule your booking.